Today I made myself a sketchbook, measuring 6in by 9in. I was not happy with those I found at the art shops because of the quality and thickness of the paper. And most of all the price. So I went to town, grabbed several sheets of heavyweight 300gsm art paper, cut them into the sizes I needed and used coptic stitch to bind them together. The only cost incurred were that of a needle, a ball of thick cotton thread, a hole puncher, time and energy. 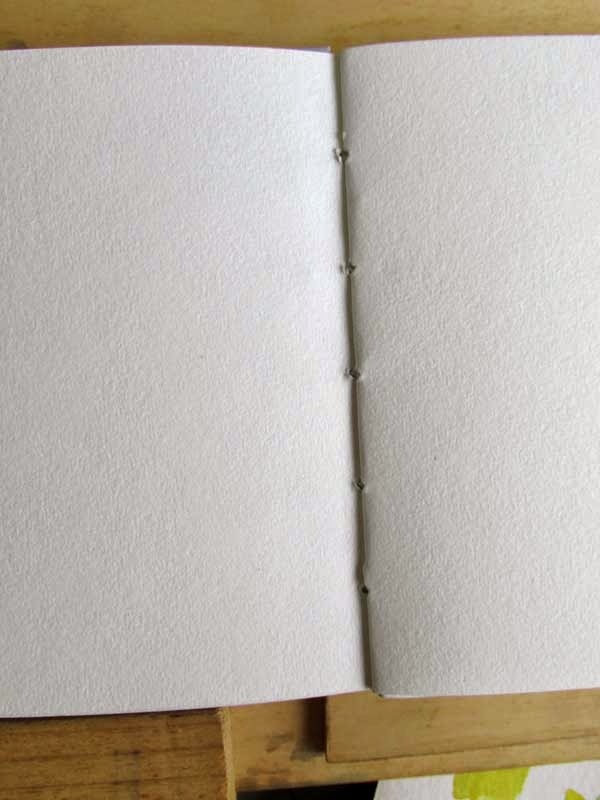 My coptic-stitched sketchbook with a close-up of the stitching. 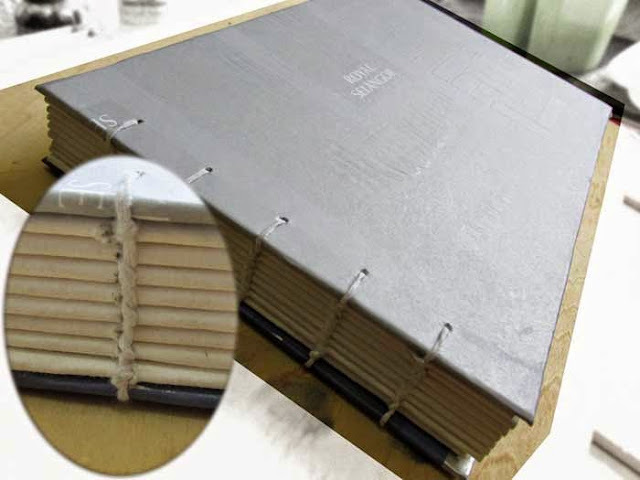 If you wish to make your own sketchbooks, there are many resources on the web that you can seek out. I won't duplicate them here, but you can check on Youtube for some really good ones. The methods are more of less the same. So, if you are not sketching or painting, or visit galleries, try making one because it provides a nice distraction from your usual activity. I suggest making a few because that will help you remember the stitching process which may look easy but only if you are familiar with the steps. Make a few in various sizes, both for yourself and your friends. It will be a fulfilling activity, I'm sure. Why I prefer coptic stitched sketchbooks is because when opened, the facing pages can be quite flat and suitable for drawing panoramic views.